The Little International is a showmanship contest sponsored by Wilmington College Collegiate 4-H to help participants improve their showmanship skills. There will be four age divisions: Beginner (ages 9-10 years old), Junior (ages 11-12 years old), Intermediate (ages 13-16 years old) and Senior (ages 17-21 years old). Up to four species can be chosen: Beef Cattle, Equine, Goats, and Sheep. Participants can choose to show all four species or pick only a specific species. However, it is a great learning experience to show all four species. All animals and show equipment will be provided on the day of the show. Please mail all pre-registration forms to Wilmington College no later than March 31, 2019. Registration the day of the show will begin at 7:00AM and close at 8:00AM. Show management reserves the right to close any class or species division due to excess enrollment at any time. A demonstration of each species will be from 8:00AM-9:00AM followed directly by the start of the show. The event will last the majority of the day, depending on the number of participants. Ribbons will be awarded to the top three contestants in each species. Banners will be given to an overall and runner up contestants in each species. 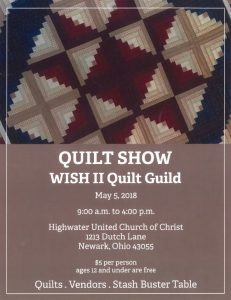 4-H Members are invited to the WISH II Quilt Guild’s Biennial Quilt Show on Saturday, May 5, 2018 from 9:00 a.m. to 4:00 p.m. 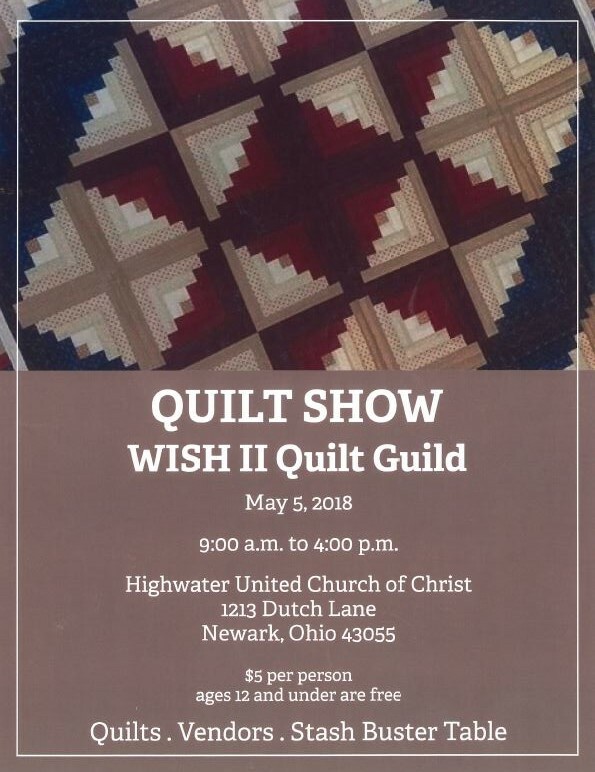 This is a great opportunity for members taking one of the quilting projects to get in an extra “learning activity” or experience for their project. Research shows that camping experiences are valuable in helping children mature socially, emotionally, intellectually, morally, and physically. Licking County 4-H is offering three camping opportunities in 2018. 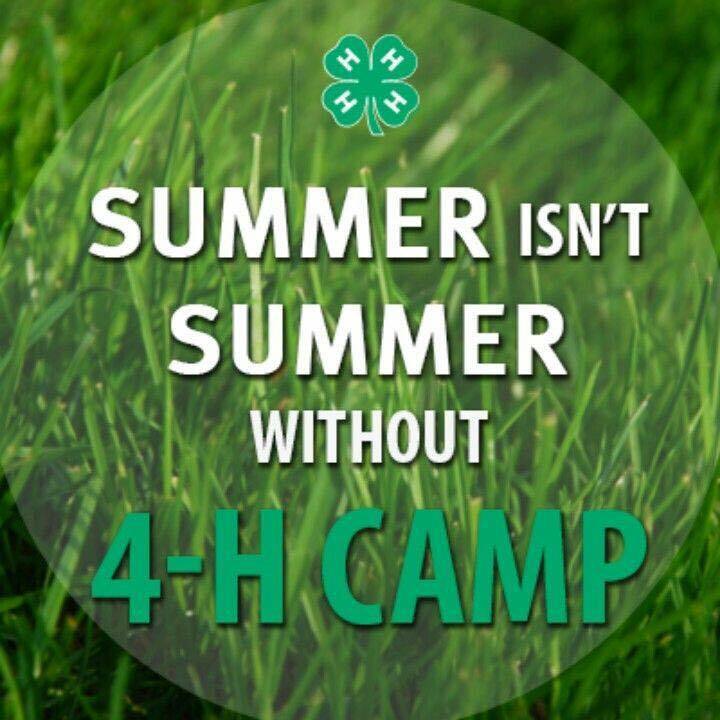 All three camps take place at 4-H Camp Ohio in St. Louisville. Space is limited, so please sign up early to ensure your child(ren) a spot. Mini Camp is for first or second year campers, or Cloverbuds in their last year of Cloverbud eligibility. It is a one-night camp designed to introduce participants to 4-H Camp Ohio and to give them a “taste” of what our summer residential camp will be like. It will be a day at the beach for our 4-H Summer Camp Participants. With days full of break-out sessions, swimming, games, group activities, non-stop fun and lots of yummy food! 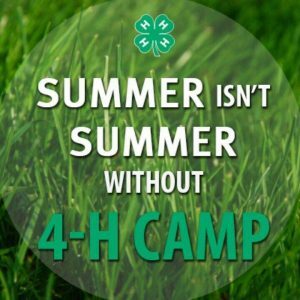 4-H Summer Camp is a five day, four night camp for members age 8 and in the third grade up through age 16 (ages as of 1/1/18). Cloverbuds are making a splash at day camp! Participants will learn about the ocean and beach through activities, games, crafts and snacks. Cloverbud Day Camp is open to children entering kindergarten in fall of 2018 through those finishing second grade. “4-H is for everyone,” but sometimes accessibility issues deny youth with multiple handicaps the opportunity to attend camp. In Ohio, a statewide 4-H camp is held at Canter’s Cave 4-H Camp in Jackson, Ohio for multiple handicapped youth and their caregivers. Being a typical kid is what Camp is all about and it is no different for special needs youth. Being handicapped does not mean you do not want to do all the things that typical children do. Join us as we “Find the Humor in Life” this summer at Canter’s Cave! Life sometimes is hard, but being able to find a reason to laugh makes everything better! The 4-H Project Requirements contains all of the information members need to complete their projects for Licking County 4-H judging, as well as requirements to compete at the Ohio State Fair. Please use this information as a reference as members complete their projects to ensure they have their project completed and are prepared for project judging. NEW in 2018! 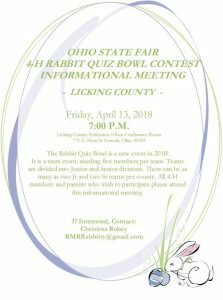 The Ohio State Fair will be having a Rabbit Quiz Bowl contest this year. Licking County would like to send teams to compete. If you are interested in being on one of the Licking County teams, please attend the informational meeting on Friday, April 13th at 7:00 p.m. at the Licking County OSU Extension Office.